Got Tough health challenges? Then you need the best water ionizer machine that’s strong enough to overcome them. What makes one water ionizer stronger than another? Power. If you’ve shopped for the best water ionizer machine, you’ll notice that every company’s top-of-the-line water ionizer is also that company’s most powerful water ionizer. This is because high power is needed to give alkaline water the highest possible antioxidant potential, and because water ionizers with more power have higher concentrations of healthy mineral hydrates than water ionizers with less power. The best water ionizers machines have the most power because you need power to give alkaline water the combination of the highest possible antioxidant potential and alkaline mineral hydrate concentration. The amount of power a water ionizer has determines how much it can raise water’s pH, and charge it with antioxidant potential. Power is needed because water ionizers make alkaline water using electromagnetism. Ordinary tap water is a mix of alkaline and acidic ions. A water ionizer uses electromagnetism to separate those ions. Inside an ionizers ionization chamber, there are positively charged plates and negatively charged plates which are separated from each other by an ion-permeablemembrane. The water ionizer uses it’s power to charge those plates. Minerals like calcium have a positive charge, so they are drawn to the negatively charged plate. Acidic ions such as carbonate have a negative charge so they are drawn towards the positively-charged plate. The membrane allows ions to cross, then keeps them separated. The more power an ionizer has, the more electromagnetism it can generate to separate those alkaline ions from acidic ions, and the higher the antioxidant ORP potential of the alkaline water will be. The larger the plates in an ionizer, the more power you need to charge them with enough electromagnetism to make alkaline water. This is because the available power to the plates is divided across all the plates, the more surface area you have, the less power you’ll have to power each individual plate. This is why the Kangen Water machine needs chemical additives to reach a pH of over 10, while LIFE water ionizers can easily go much higher without chemicals, in fact, the LIFE Ionizers M-13 can deliver a pH of over 12 using just Carlsbad city tap water. 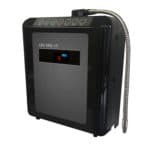 The reason the M-13 outperforms the Kangen Water machine is power and the fact that the Life uses the advanced GRID Plate Technology: The LIFE M-13 can run from 500 watts up to 800 Watts of power. The Kangen Water machine is limited to just 230 Watts. There are two power supply types that are used in water ionizers, transformer-based and Switched Mode Power Supplies (SMPS). Transformer-based power has been in use for over 100 years, SMPS is newer and more technologically advanced. It takes advantage of digital technology to save energy and increase efficiency. Because SMPS is far more efficient than transformer-based systems, SMPS power water ionizers can run a lot more power than transformer-based water ionizers. 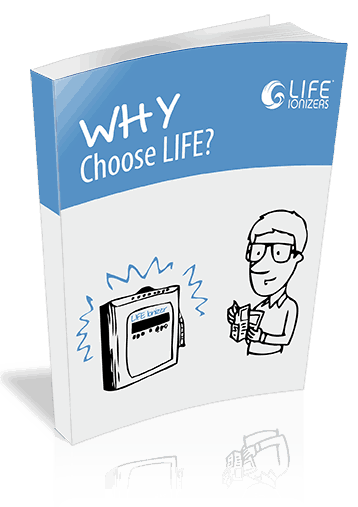 They also run cooler and last longer – that’s why Life Ionizers can provide a lifetime warranty on them. Flat plates need even more power than GRID plates do due to the Faraday Effect: Electricity prefers to travel along edges, flat surfaces present greater resistance to current flow. Flat plates have fewer edges than GRID plates, so their resistance to the flow of current is greater. Because of the Faraday Effect, GRID plates deliver 10 – 15% higher pH and antioxidant ORP levels than flat plates. When you combine a powerful SMPS power supply and GRID plates, you get a water ionizer that is capable of delivering the pH you want at high flow rates, so you don’t have to wait long to fill containers. 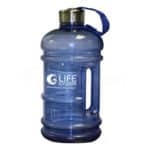 The LIFE Ionizers M-13 can produce high pH alkaline water at a rate of over 6 liters per minute! This means that you can fill a gallon container quickly without compromising on the pH level of the alkaline water you get. 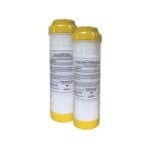 Underpowered ionizers with lesser plates force you to slow the flow of the water down when you need high pH water. In fact, low-powered ionizers typically flow at about half the rate that the LIFE M-13 does. The combination of large, GRID plates and powerful SMPS power supplies are the reason LIFE Ionizers are the best water ionizers made. Get the ionizer that beats the Kangen Water machine. Call us today at 888 790-8121 it’s easier than you think!